Michael and Carey go way back – way back to when they were kids and their parents were pals. 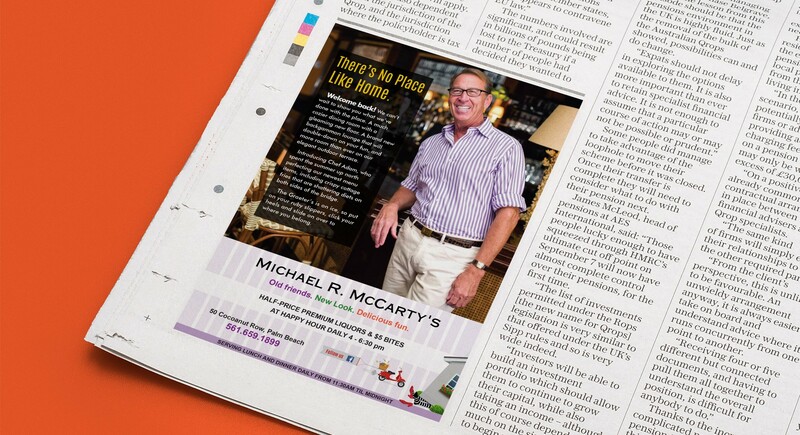 Michael traditionally runs an ad in the Palm Beach Daily News around Thanksgiving to welcome his loyal patrons back to Palm Beach after a summer in northern climates. Carey and Michael got carried away at the shoot, and she wrote the copy right there on the bar, pretending to be Glenda, the Good Witch, plotting to take out her Western competitor. 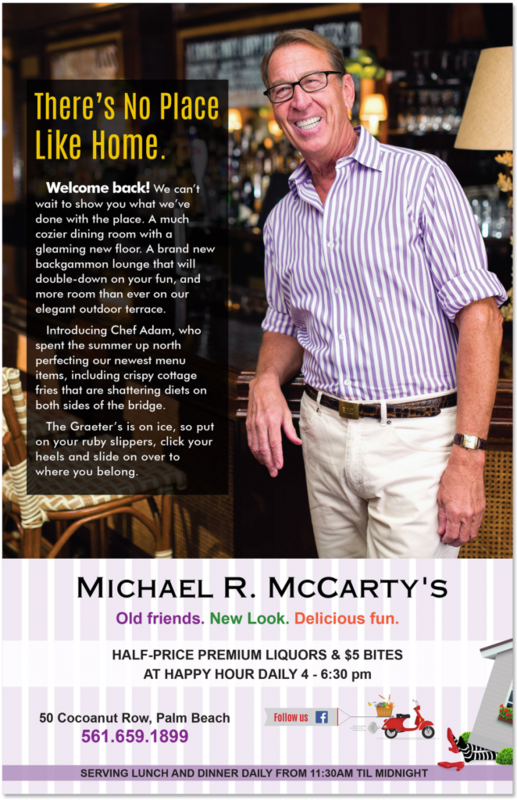 Straightforward copy with a natural lilt and memorable concept is a signature of O’Donnell advertising. 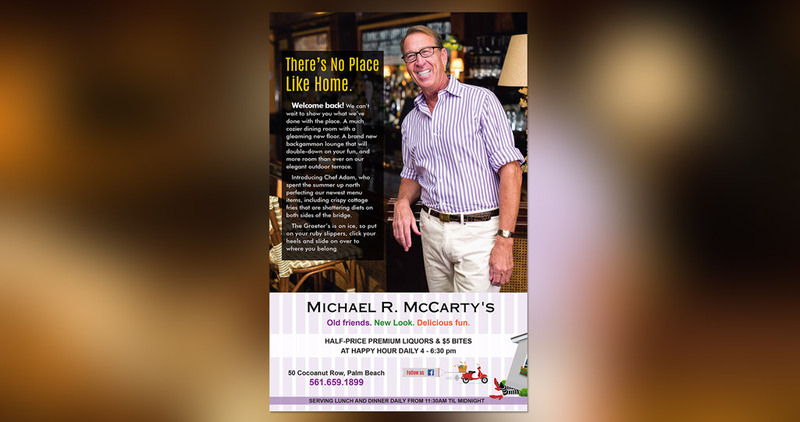 It worked pretty well for Michael McCarty!